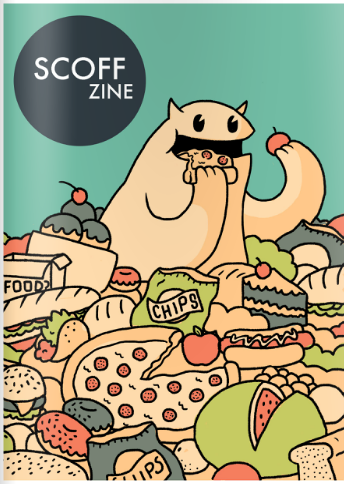 Scoff is a zine about food! Put together by some peeps at RMIT, it’s got heaps of cute comics inside. And I’ve got a comic in there! (I am now officially, a published ~*~*CoMiCeRRrr, which I believe is the technical term.) Hommus Wife is my contribution, written because one of my friends just really likes hommus.